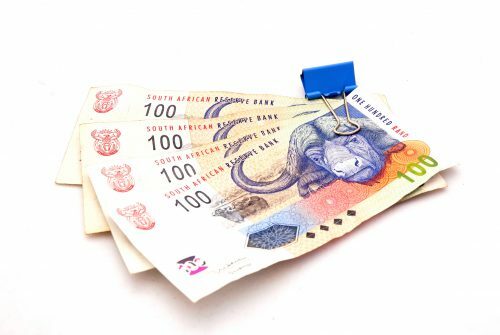 The commission investigated a case of price fixing and market allocation in the trading of foreign currency pairs involving the rand since April 2015. Absa and Standard Bank are named, along with Investec. In a press statement on Wednesday, the Competition Commission of SA announced that it has asked the Competition Tribunal to prosecute 17 banks it alleges were colluding to manipulate the value of the rand. The list includes several major global banks and includes two big South African banks, Standard Bank and Absa, as well as Investec. Below is the full statement, as released by commission spokesperson Sipho Ngwema. The Competition Commission has today referred a collusion case to the Tribunal for prosecution against Bank of America Merrill Lynch International Limited, BNP Paribas, JP Morgan Chase & Co, JP Morgan Chase Bank N.A, Investec Ltd, Standard New York Securities Inc., HSBC Bank Plc, Standard Chartered Bank, Credit Suisse Group; Standard Bank of South Africa Ltd, Commerzbank AG; Australia and New Zealand Banking Group Limited, Nomura International Plc., Macquarie Bank Limited, ABSA Bank Limited (ABSA), Barclays Capital Inc, Barclays Bank plc (Respondents). The Commission is seeking an order from the Tribunal declaring that the respondents have contravened the Competition Act. Further, the Commission is seeking an order declaring that the Bank of America Merrill Lynch International Limited, BNP Paribas, JP Morgan Chase & Co, JP Morgan Chase Bank N.A, Investec Ltd, Standard New York Securities Inc., HSBC Bank Plc, Standard Chartered Bank, Credit Suisse Group; Standard Bank of South Africa Ltd, Commerzbank AG; Australia and New Zealand Banking Group Limited, Nomura International Plc., Macquarie Bank Limited are liable for the payment of an administrative penalty equal to 10% of their annual turnover.